All the smiles you see on this page were created by Smile Design Studio. These are not stock photos or models. Please take a moment to browse thru these photos and orthodontics/cosmetic dentistry case studies. If you would like to schedule a Free Smile Assessment, you may fill out the webform below or call (08) 9468 3322. Amanda presented with headaches, jaw aches and poor head & neck posture as well as crowded teeth. She wanted a solution that could alleviate her discomfort while also giving her a nice smile. Amanda had 3 months of Neuromuscular Orthodontic Treatment to stabilise her aches and postural problems followed by Damon Clear Braces for 18 months to make these changes permanent. The case was finished with Pola Teeth Whitening. Samson presented for the improvement of his smile and function of his teeth. His concern was his narrow smile, the gap between his front teeth, his deep overbite and lower front crowding. He wanted an orthodontic solution that did not involve any orthodontic extractions. Treatment involved Damon Clear Braces for 18 months with bite turbos and elastics. Expansion of his upper jaw was achieved without orthodontic extractions while also closing gaps, correcting his overbite and crowding. Amalgam restorations removed and replaced with tooth coloured restorations and Pola whitening. Christina presented with an anterior crossbite (underbite) which was particularly severe around the lower right canine and upper right lateral incisor. She also had an impacted upper right canine. Due to Christina’s prominent facial profile and protrusive lips, it was necessary for the orthodontic extraction of four premolars. This was combined with Damon Clear Braces for 18 months to correct the crowding and crossbite. 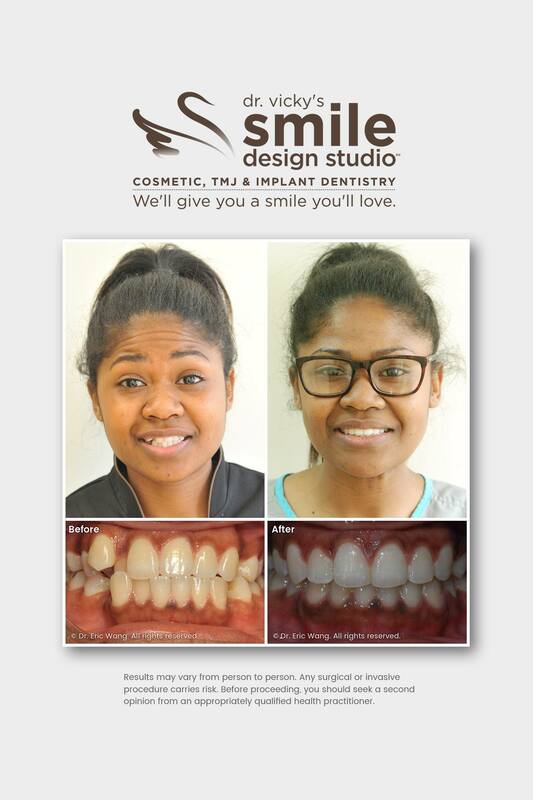 Naomi presented for an orthodontic option to improve her smile. Her main concern was the upper right central incisor which stuck out and the crowding of her lower front teeth. Naomi’s treatment involved Damon Clear Braces for 18 months to expand both upper and lower jaws without the need to extract any teeth to improve her smile. Kristen presented for orthodontic treatment to improve her smile and facial profile. In particular she was looking for a fuller wider smile and a poutier fuller upper lip to improve her concave facial profile. Kirsten had Damon Clear Braces for 18 months to widen and develop her dental arches and improve her facial profile. In addition, she had Pola Teeth Whitening to finish off her case. Sangah’s main concern was a severely rotated upper left lateral incisor but also noted that his front teeth didn’t contact when he bit down. Sangah had Damon Clear Braces for 18 months to straighten his front teeth and improve his open bite. 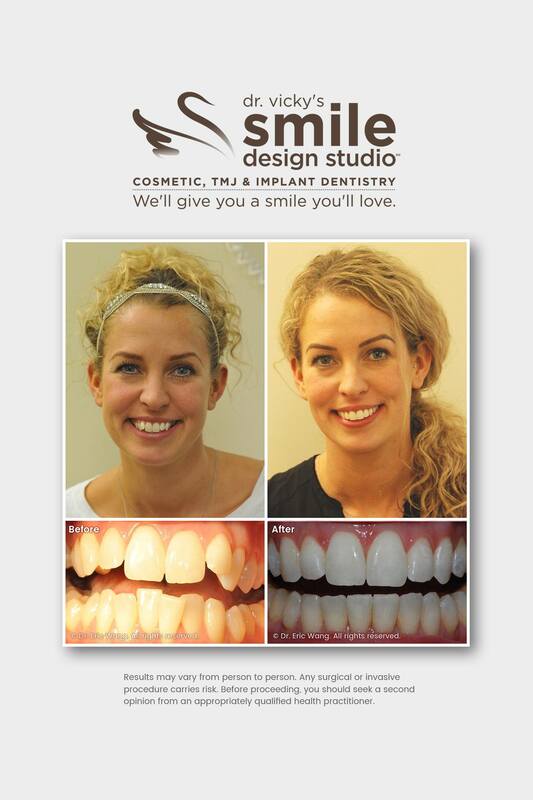 Rachel wanted to improve her smile with an orthodontic solution. Her main concerns were her narrow smile and small teeth but also the lower front crowding of her teeth. She also had a traumatic deep bite. Rachel’s treatment involved 18 months of Damon Clear Braces with bite turbos and elastics to expand and widen her smile while correcting the crowding and deep bite. In addition, she had a laser gum lift to lengthen her teeth. Amanda had 3 months of Neuromuscular Orthodontic Treatment to stabilise her aches and postural problems followed by Damon Clear Braces for 18 months to make these changes permanent. The case was finished with Pola whitening. Kellie was referred to us for the correction of her jaw joint dysfunction and click. She also had a severe teeth grinding and clenching habit. Her treatment involved bite stabilisation with a Neuromuscular Orthotic for 3 months followed by Damon Clear Braces with elastics for 24 months to reposition her jaw. However during her treatment, her grinding was so severe that her orthotic was abraded away losing the jaw position we had achieved. We had to re-stabilise her bite and adjunctively use muscle relaxant injections which ended up extending her treatment by a further 6 months. Cameron presented with a very narrow smile due to a narrow upper jaw and a very deep overbite. His main focus was the expansion of his jaws to improve his smile. His overbite and palatal expansion were both corrected non-surgically with Damon Clear Braces, bite turbos & elastics over 24 months. Jade presented to my office for a consultation and examination regarding the alignment of her teeth. She wanted to improve her smile with a non-surgical, non-extraction treatment option. Clinical evaluation and examination revealed rotated canines and front teeth that overlapped. Jade’s orthodontic treatment plan consisted of Damon Clear Braces for 18 months without any orthodontic extractions to improve the appearance of her smile. Danielle presented with a narrow upper jaw with posterior crossbite and misaligned front teeth. Her main concern was the improvement of her smile and she wanted an invisible treatment option. Although her bite profile was suitable for clear aligners, the amount of expansion needed for the upper jaw would require Damon braces. We settled on a happy medium and utilised E-lingual braces for 24 months to improve her smile. Nicholas presented with a concern for his upper front buck teeth and lower front crowding. He did not want any teeth removed to create space. He also had a 2nd molar which was in scissor bite. Nicholas’s case was inherently difficult as he has quite large teeth. He had Damon Q braces for 18 months to bring his other teeth forward to be in line with his upper front buck teeth and correct his lower crowding. He had an auxiliary appliance with elastics to correct his scissor bite. Wenny presented to my office for a consultation and examination regarding the alignment of her teeth. She was mid treatment in Damon Q braces. Clinical evaluation and examination revealed a functional shift of her lower jaw to her left. At our center, Wenny continued her orthodontic treatment and had Damon Q Braces for a further 9 months with elastics to correct her jaw position.